It’s a car-tastrophe! New car sales are down by 5.7% in 2017 compared to the previous year. Run for the hills, or at least drive there in your crossover. If you read all of the headlines about the just-published car market in 2017, you might well be forgiven for thinking the world is about to collapse and we should all start investing in bicycles. The truth, as is often the case, is somewhat different. For starters, we need to look at the 2017 figures in a wider context that just the previous year. A quick glance shows 2016 was the best year this century for new car sales in the UK, so it was always on the cards that numbers could slip. As well as that, there’s plenty of comfort for car makers and those selling them when you learn 2017 was the third best-performing year, just behind 2016 and 2015. 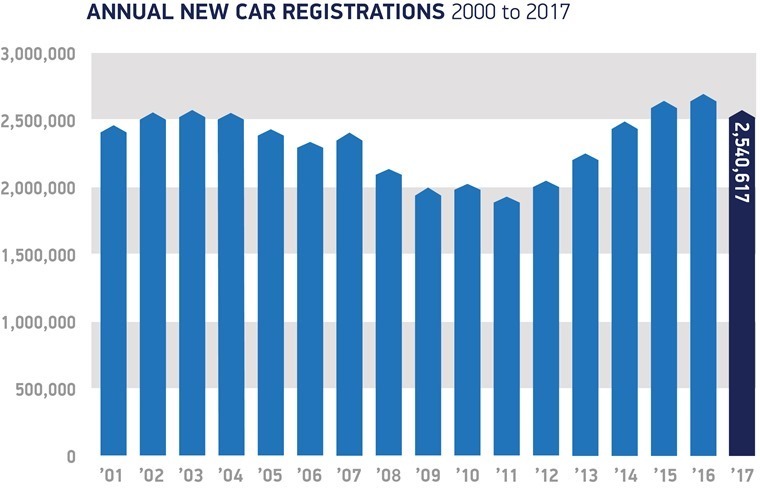 Take a look at new car sales in 2011, when they dropped to below two million in the UK and you can see the 2,540,617 that found eager new owners in 2017 really isn’t worth getting into a frenzy about. What the car industry will be more concerned with is whether or not this is the start of a longer term decline in sales. That would be a worry for dealers and manufacturers alike, though for those of us leasing our cars it’s less of a worry. 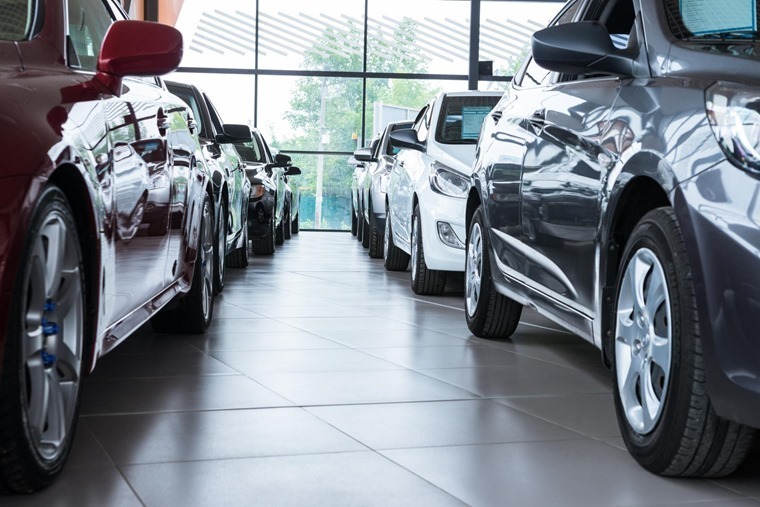 After all, leasing provides a fixed monthly cost for the duration of the agreement and it’s simple to roll forward into the next deal without having to worry about depreciation or selling the vehicle. It also provides more flexibility than outright purchase should you need to change your car for whatever reason. Among those reasons will be some choosing to opt out of a diesel-powered car in favour of petrol or alternative fuels. Given the ill-informed rhetoric from the government on diesel cars during 2017, it’s no wonder sales of these vehicles are significantly down. The final tally is a 17.1% drop for diesel sales, which makes no sense at all. For many drivers who cover larger mileages each year, a modern diesel is the ideal choice thanks to its fuel economy and lower emissions. Yes, there is the question of particulate emissions in built-up areas, but high mileage drivers tend to clock up their distance on the motorways. 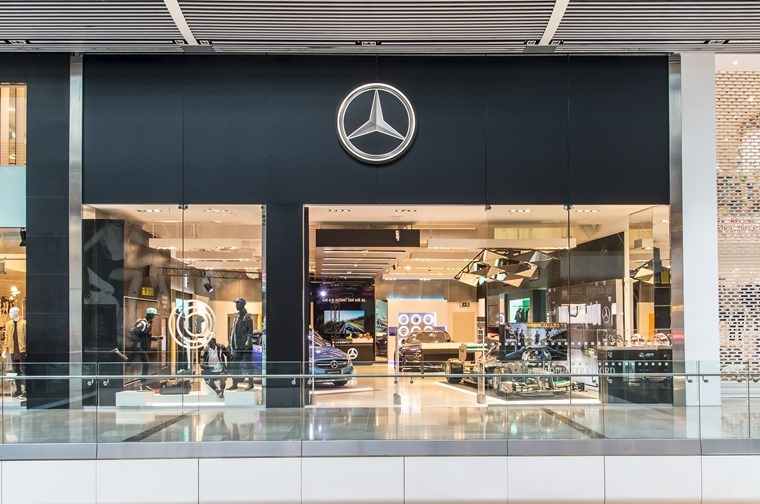 There are other reasons for the slowdown in new car sales, as the Society of Motor Manufacturers and Traders chief executive Mike Hawes says: “Falling business and consumer confidence is undoubtedly taking a toll and confusing anti-diesel messages have caused many to hesitate before buying a new low-emission diesel car. There are clear signs that some drivers are taking this approach as alternative fuel sales were up 34.8% in 2017. Admittedly, this still represents a small slice of the overall market at 4.7%. However, it’s a big jump and shows UK drivers are turning on in significant numbers to benefits of hybrid, electric and hydrogen cars. 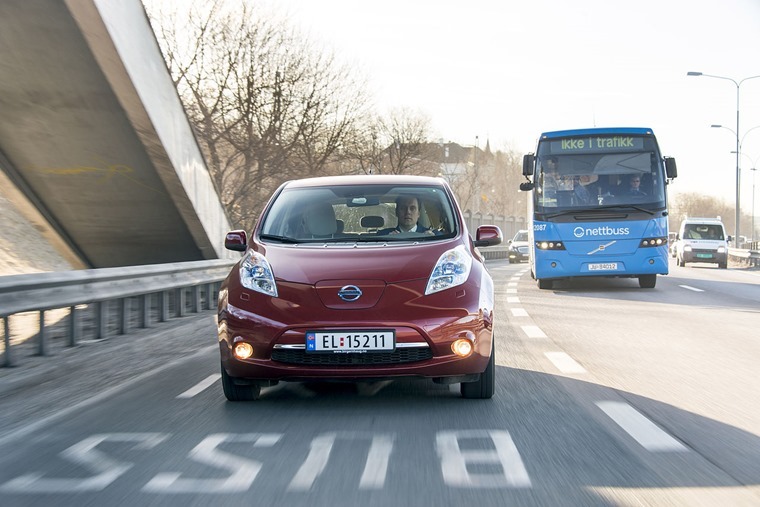 All-electric cars have access to bus lanes in Norway. This is still a long way from the government’s heavy-handed proposal to ban all new fossil fuel-powered car sales by 2040. What it does show is there’s a good case for mixing up the types of fuel we use in our cars much more. By doing this, we can improve the environment and air quality while also putting drivers into the right car for their needs rather than corralling them with blunt tax instruments. Take a look at Norway and you can see how this model could work for the UK and many other developed nations. In this Scandinavian country, more than half of all its new cars sold in 2017 were powered by hybrid, electric or hydrogen fuel. How have the Norwegians achieved this without riots from drivers? Well, they have used some hefty tax penalties on petrol and diesel cars to steer people into the lower emission vehicles. Choose this route and drivers benefit from toll-free travel in cities, cheap or free parking, low-cost recharging facilities and even free rides on the country’s numerous ferries. 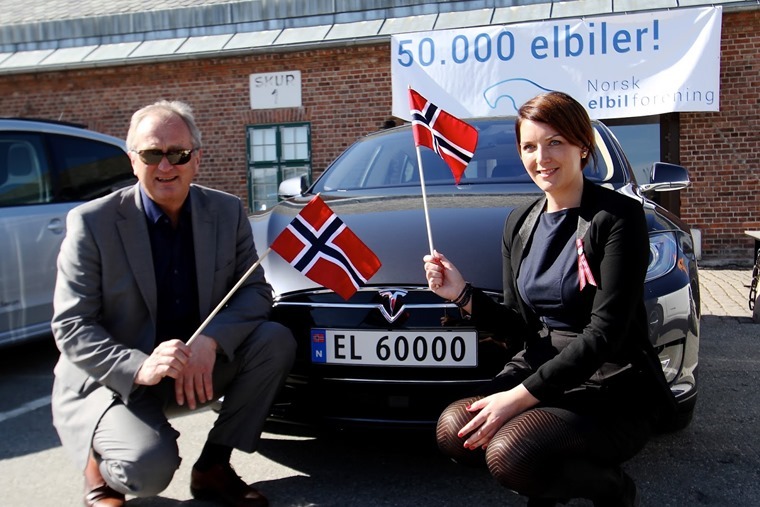 The Norwegian government's goal of 50,000 electric cars on the road was reached in 2015. It’s not all good news for those driving these types of car in Norway. When the government tried to reduce the ‘Tesla tax’ on large electric cars, the parliament forced it to back down. This puritan view of cars might seem strange to those of us in the UK, but Norway does show it’s possible to mix petrol, diesel, EV, hybrid and hydrogen successfully. It does help all of this is funded by the country’s huge oil wealth, but that’s a moral debate the Norwegians appear to have come to terms with. 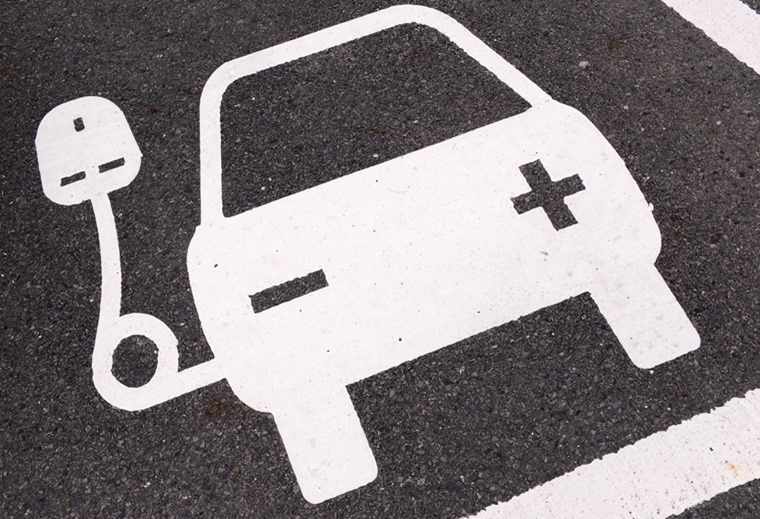 It’s going to be a long time before the UK new car sales figures see more than half accounted for by alternative fuel vehicles. The infrastructure isn’t in place to the same extent as in Norway, which has been working towards this situation for more than two decades. On top of that, Norway’s population is less than a tenth of the UK’s, so its new car market is significantly smaller and more adaptable as a result of this scale. Even so, we should be looking to the likes of Norway as an example of how the UK’s future could look. It’s not nearly as bleak as some might have you believe. It’s just different and the change involved is something to embrace rather than reject. Certainly, 2018 looks like being another year of pinched new car sales in the UK. However, if this time next year we’re reporting another significant jump in alternative fuel vehicle sales, we can take heart the market is shifting in a more educated, enlightened direction. That includes the correct choice of petrol and diesel power, so we can only hope the UK’s government also becomes more aware of the diversity needed by drivers in this country.